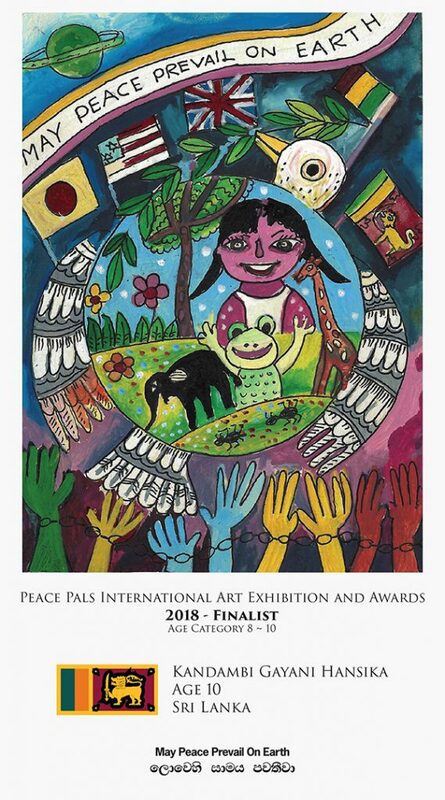 Kandambi Gayani Hansika, age 10, of Colombo, Sri Lanka entered this beautiful artwork in the 2018 Peace Pals International Art Contest. Kandambi is a very talented young lady with infinite potential. 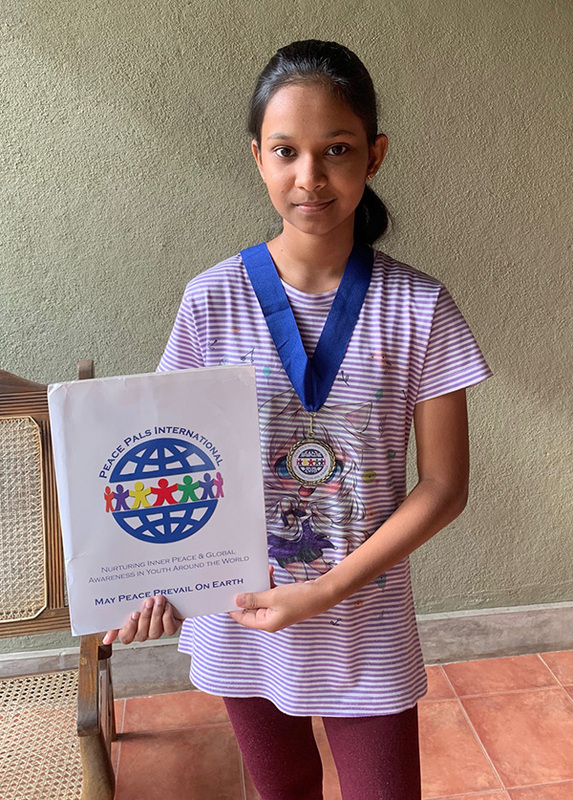 We are very pleased to have her as a finalist. Congratulations to Kandambi.